Although the temperatures have been in the 80s this past week, April means Spring is here. After cleaning up flood debris, now it is time to move housebound plants to the outdoors. 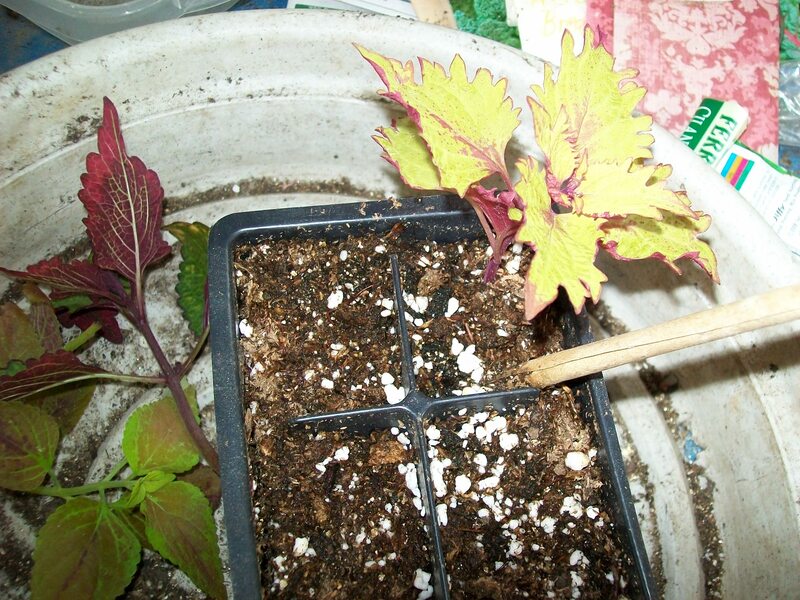 Last fall I rooted cuttings from the coleus in the hanging baskets. 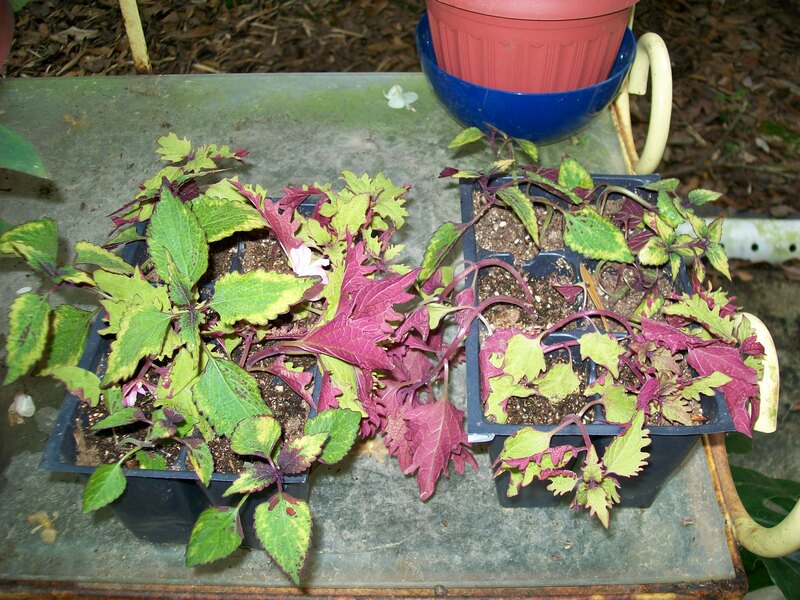 The cuttings grew to small plants over the winter, however by March the coleus were getting leggy. Even south facing windows don’t provide adequate light for growth, the plants just hang on til warmer weather arrives. 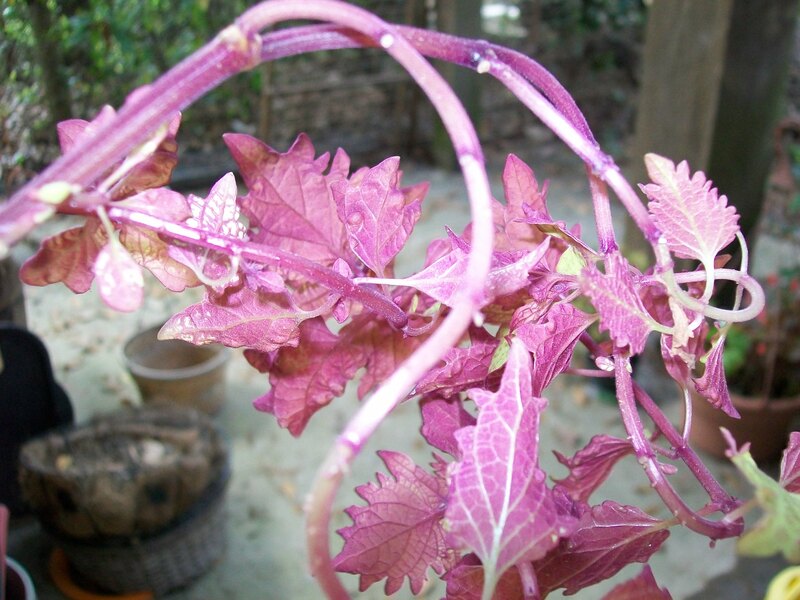 Once outdoors, the coleus respond to the sunlight. It’s time to make new plants from the winter survivors. 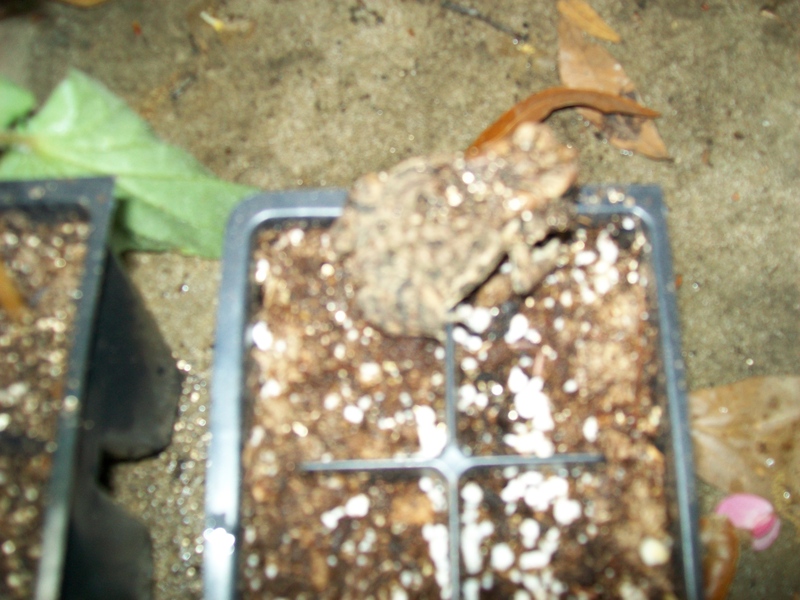 Coleus, potting mix, and toad. He liked the airy, damp mixture of vermiculite, perlite, and spagnum moss. Make sure the potting mix is damp before inserting the cuttings. 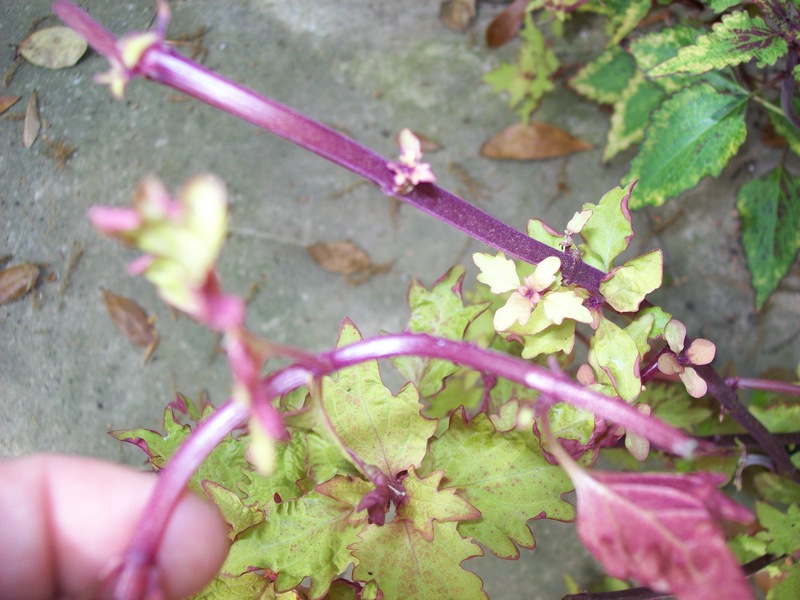 Trimming coleus - only two or three leaf pairs are needed for cuttings. 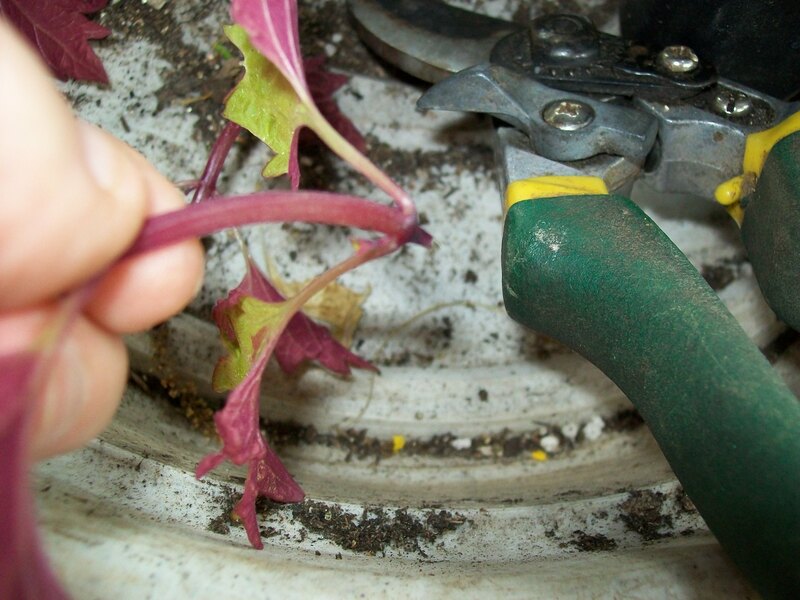 Remove leaves at the "joint"
Cut at leaf joint. Roots will grow from the joint. The final shot is a completed six pack. I am the scroungelady, so I recycle packs from garden centers. Keep the potting mix moist and place the pots/packs where they’ll get morning sun. These are part shade coleus. Plants should root in two weeks. Then pot up the new plants in containers. I like to use them in hanging baskets or large planters. Begonia cuttings in a future post.